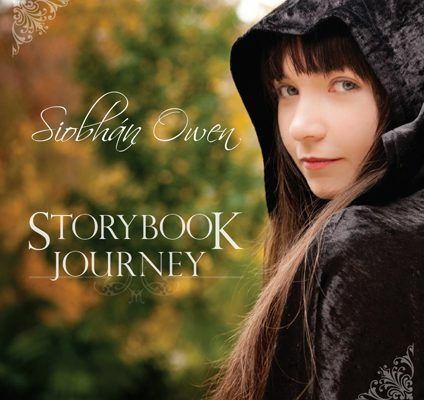 Siobhan’s highly acclaimed album “Storybook Journey” – which was released at the end of June 2012 – has won the Classical Crossover UK 2012 “Album of the Year”! This follows being chosen as BBC Radio Wales “Album of the Week” in September. This album promises to take you on a reflective musical journey across the Celtic lands of Wales, Scotland and Ireland – and far beyond! You will be enchanted by sublime vocals, heavenly harp and stunning instrumental arrangements. One of Siobhan’s proudest moments to date was being asked to sing the Welsh National Anthem for a major test match between Australia and Wales to a packed Sydney stadium and televised to millions worldwide. Siobhan’s family and friends watched in pride from all corners of the world. 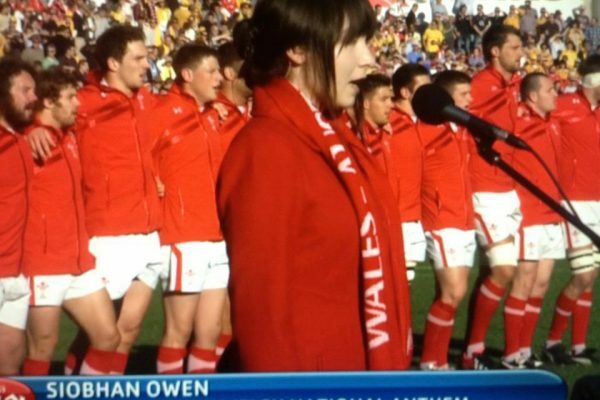 Siobhan proudly singing the Welsh Anthem at the Australia vs Wales Rugby Union test match. June 23 2012.